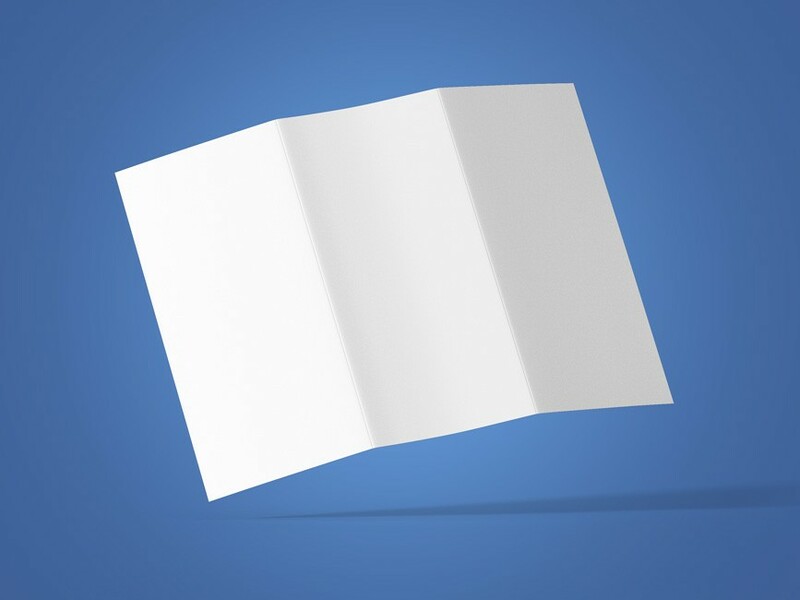 Download Free Floating Tri-fold Brochure Mockup. Tri-fold Brochure Mockup that will help you showcase your brochure design in photorealistic manner. Easy to place your designs inside Brochure Mockup using smart objects, double-click the Smart Layer, copy & paste your artwork, save and you’re done. Nice work done by Nader Amer.